If you're a huge fan of the stylish 1950's drama All About Eve starring the elegant Bette Davis, then you'll love these collectible postage stamps. I've seen the film at least four times, and besides enjoying the superb acting, I think that it features some of the most beautiful and luxurious costumes ever. 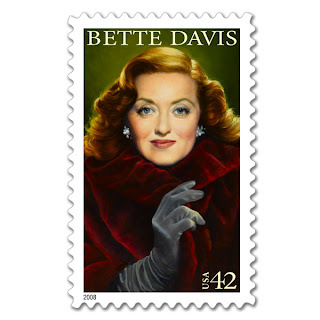 The two time Academy Award winner Davis is featured as part of the Screen Legends commemorative stamp series. 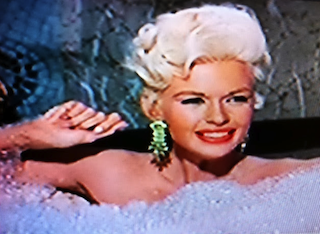 Swaddled in mink with her iconic screen siren waves and long velvet gloves, she is the epitome of mid-century style. If you haven't seen the movie then you must rent it, and then order a sheet of these stamps for the chicest looking snail mail ever.